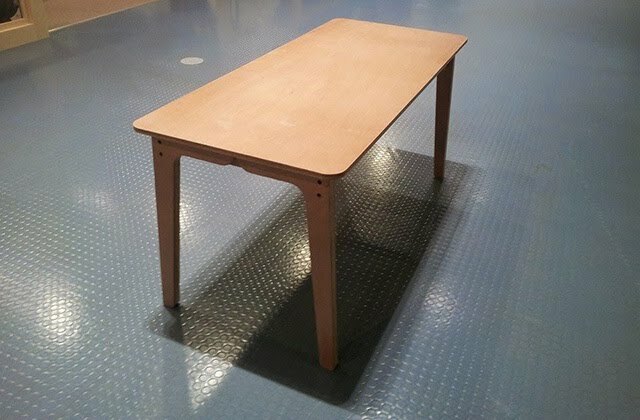 The Standard Desk is a simple and robust desk that can be made from a single sheet of plywood. 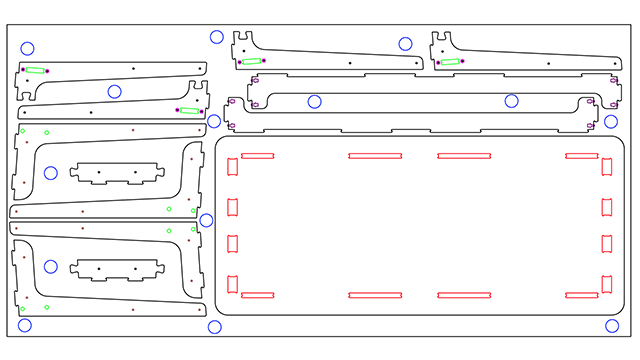 Although there are many creative digital designs available for CNC milling furniture, these designs sometimes require too much material or may only be suitable for specific uses. The design goal was to create a robust desk with a timeless design that can be also used as an introductory example for beginners. 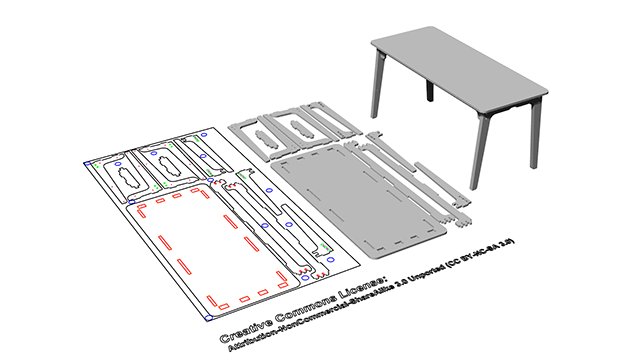 - Pack all parts into single sheet of 4’ x 8’ plywood. A single sheet of 18mm-thick 4' x 8' plywood was used. For each leg, two layers (outer / inner) are joined together with wood glue to increase stiffness. Each leg is then joined together with a dovetail connector. The project was commissioned by Gwacheon National Science Museum and it is now being used as a tutorial for a CNC milling class.